As one of the world’s biggest and busiest hub airports Heathrow has its finger on the pulse of international beauty trends. Couple that with 120 brands, 12,500 beauty products and 1,451 lipsticks under its roof and it’s fair to say Heathrow is the expert in beauty. 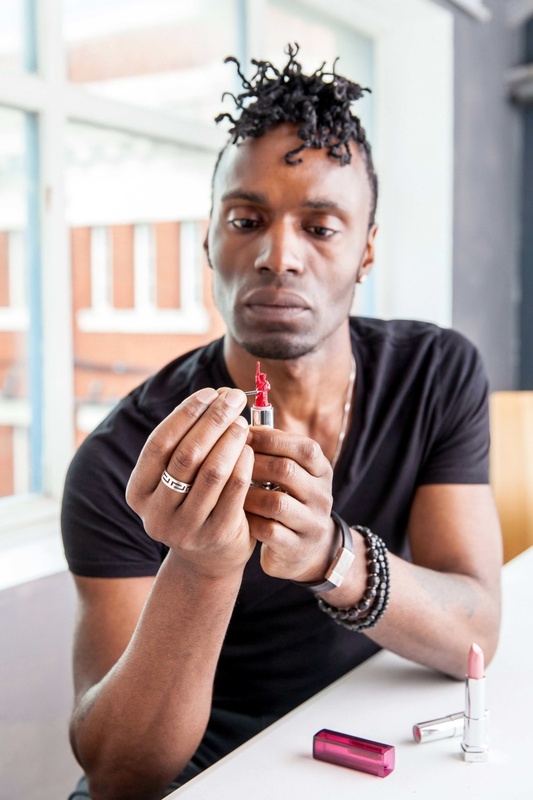 In the spring of 2015, to showcase Heathrow’s beauty credentials to the world we orchestrated a month-long festival of lipstick at the airport, celebrating everything that’s great about a little lippy. Underpinning the celebrations was an in-depth Lipstick Colours of the Year report – highlighting the lipstick shades that are currently ‘on everyone’s lips’ in 50 destinations Heathrow flies to around the world. Co-written with beauty journalist Alice Hart-Davis, the guide contained a lovely little watercolour infographic of the world painted in the most en vogue lipstick shades in each country. For some of the most popular destinations flown to from Heathrow, including New York, Dubai, Paris and Shanghai, special beauty capsule collections were put together based on the trending lipstick shades. To bring the lipstick report to life in a creative way we went to both ends of the size spectrum. On the small end we commissioned the world’s foremost micro-artist Hedley Wiggan to hand carve iconic landmarks from actual lipsticks. This included the Statue of Liberty, Eiffel Tower, Burj Khalifa, Shanghai Tower and London’s Big Ben. Each landmark was carved into a lipstick shade corresponding with the colour à la mode in those cities. 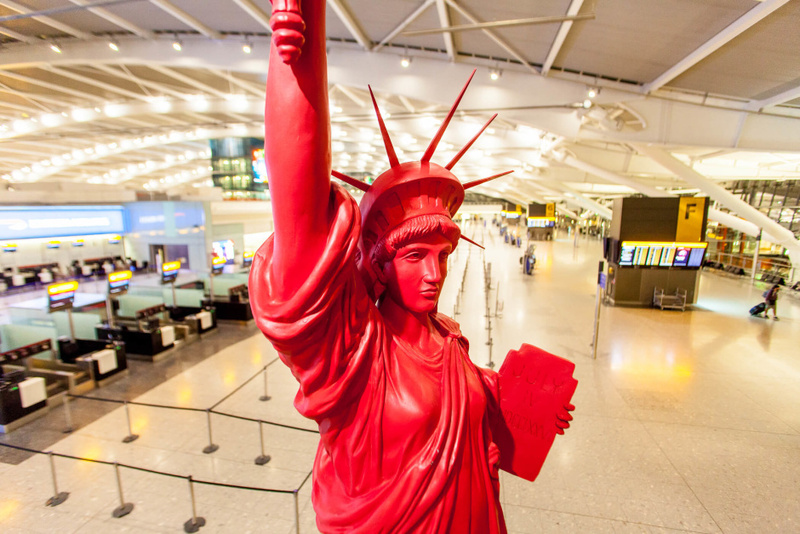 This diminutive lipstick landmarks were then housed in the shadow of an incredible two-storey high replica of Lady Liberty, also made from a bright red lipstick. 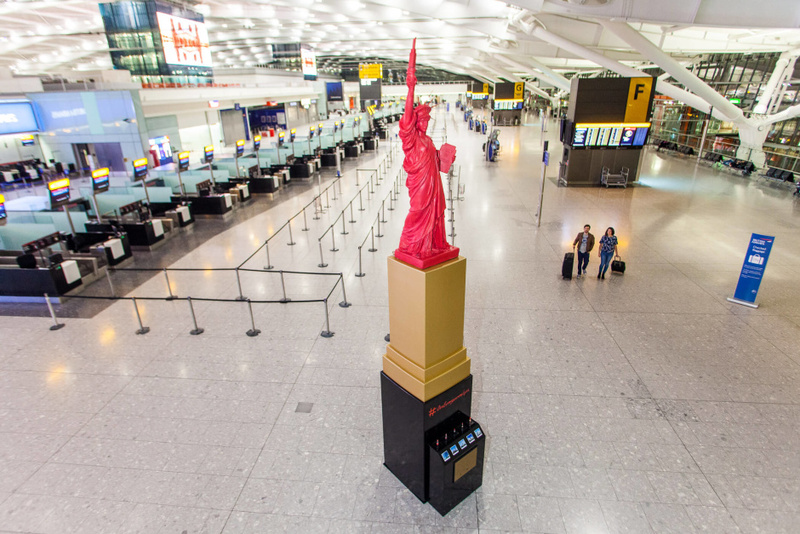 The Statue of ‘Liperty’ was originally intended to be installed in Terminal 5 for a month, but it proved so popular with passengers it remained for a further four weeks. Heathrow’s lipstick bonanza has proven a massive hit with the media in the UK and all over the world. On home shores we bagged impressive pieces in Daily Mail, Daily Mirror, Mirror online, Independent, Sun, Metro, Grazia, Vogue, Cosmopolitan, Red, Elle, Good Housekeeping, Yahoo! and Huffington Post UK. Further afield our lipstick story found a home in Harpers Bazaar (Australia and America), Huffington Post USA and Canada, Mashable, Bustle, InStyle as well as beauty and news press in India, Italy, France, Romania, Greece, Dubai, Malaysia, China and South America. All of this, plus some lovely social media buzz, has firmly put Heathrow ‘on everyone’s lips’ when it comes to the best in beauty expertise and brands and even resulted in a 25% increase in lipstick sales at the airport during the campaign period.